Orient Freight International, Inc. recently moved to a new and better warehouse facility. 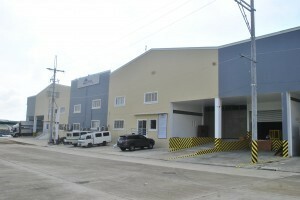 Located inside LYL Business Industrial Park along Governors Drive Carmona, Cavite, a very accessible area with good traffic situation and great atmosphere. Designed to accommodate different product movement requirements including cross-docking. Equipped with racking system and has controlled temperature rooms for products which require special handling/storage. It has six loading bays, two ramps and huge maneuvering space to accommodate multiple incoming and outgoing shipments simultaneously.